CHICAGO (WLS) -- Crews helped rescue a man on crutches from an apartment fire in Chicago's Back of the Yards neighborhood. 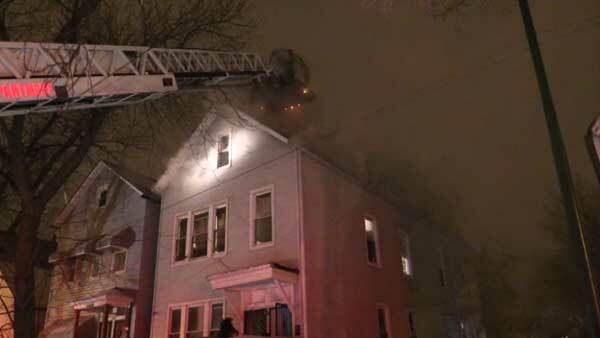 Firefighters responded to the home in the 5000-block of South Laflin Street overnight. They were able to get the man out. He was not seriously injured. Crews had to battle with brutally cold temperatures as they worked to put out the fire.